Crossboundary Energy Access (CBEA), Africa’s first project financing facilities for mini-grids, is planning to unlock more than $11 billion from investors to bring electricity to at least 100 million people on the continent. The new financing facility attracted $16 million in its first close – enough to fund mini-grids that could connect 170,000 people, according to the organization. The Rockefeller Foundation, Ceniarth and the Shell Foundation were among the first supporters of the initiative. CBEA said it will focus in the first round on markets with supporting regulatory frameworks, such as Tanzania, Nigeria and Zambia. 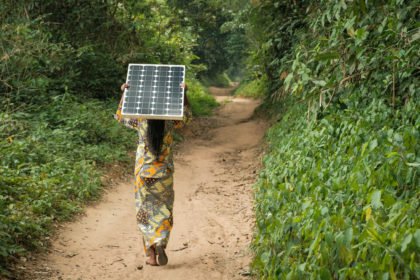 “Mini-grids are critical to achieving universal electrification in Africa at the least cost,” said Gabriel Davies, head of energy access at Crossboundary. “We believe long-term project finance structures will allow mini-grids to scale. We’re building investment portfolios that will attract the long-term, infrastructure-type capital the sector needs from institutional investors,” he said. While the CBEA says it is the first project finance facility in Africa dedicated to mini-grids, it is far from the only organization active in the sector, and sees great potential. Last month, The African Development Bank Group has approved equity investment of up to $25 million for the ARCH Africa Renewable Power Fund. The investment will be made into a larger equity fund, which seeks to develop 533 MW in the market, which currently has the lowest rate of access to electricity in the world. The investment will support the bank’s ten-year strategy, which seeks universal electricity supply in sub-Saharan Africa.